Famous for its flamenco dancers and popular beaches,Spain has so much to offer the motorhome traveller. Diverse in landscape as it is in cultural influences, the north offers rolling green hills while the south has a flavour of Moroccan landscapes and architecture. From prehistoric cave paintings to Moorish palaces, crumbling castles to Gothic and Renaissance cathedrals, Spain delivers a lot to those motorhome travellers seeking cultural fulfilment. Drive your motorhome down to the chilled-out city of Granada and relax in the wonderful outdoor cafés, before making a visit to the historic Alhambra gardens. A motorhome provides a perfect way to travel through the regionally distinct areas which make up the countries of the old Spain. These regions remain diverse in their language, culture, cuisine and art and are ideally enjoyed at the slow pace afforded by a motorhome holiday. Excellent and quiet beaches can be found near Malaga, Huelva and Almería in the south as well as near the coasts of La Manga, Galicia, Asturias, Cantabria and Euskadi. 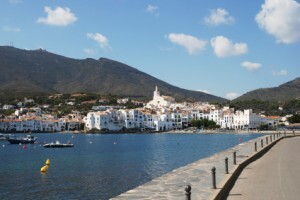 For motorhome users who enjoy extremely developed resort towns, there are also plenty of developments on the Costa de la Luz and the Costa del Sol. If it is unique architecture and city life that you seek, such can be found in Córdoba, Salamanca, Granada, Toledo and Madrid. Take your motorhome to the country’s capital, Madrid, and visit Spain’s top three art museums while you drink in the city’s vibrant atmosphere. The architecture Antoni Gaudí has left his mark on Barcelona and his work is well worth a look, as is the Picasso museum. Well-known as a cultural centre, Barcelona boasts splendid monuments and historical sites and is a very modern, multicultural, cosmopolitan city highly recommended as a destination in any motorhome trip itinerary. If you would rather use your motorhome to get some fresh air, Spain is filled with opportunities to visit wildlife parks as well as trekking routes. Between Guadix and Baza in the Pyrennes one can find cave-dwellings, and beautiful natural parks which can be enjoyed to perfection in a motorhome. The road infrastructure in wilder parts of Andalucia is excellent and can easily accommodate a motorhome, taking you on an exciting trip to explore desert sceneries and villages that cannot even be found on maps.